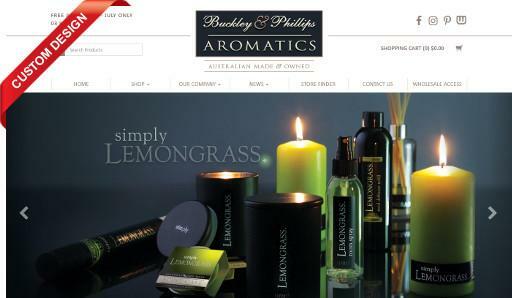 An Australian company producing a diverse range of Australian made home fragrance and aromatherapy products. Offering an extensive selection of luxurious scented products, including eco friendly natural soy candles and a comprehensive range of the purest essential oils. "4 Years after our initial website build with Straightsell we decided to upgrade our existing design.We completely overhauled the look and feel of the website and added several new features including Account Manager login functionality, bulk-volume options for products, PayPal payments option and a responsive design for mobile and tablet viewing. Of the 100+ custom requirements requested for our upgrade, Straightsell were able to complete basically everything that we asked for. Straightsell were extremely thorough to make sure that all of our requirements were clearly communicated and that nothing was lost in translation. The professionalism of Straightsell's staff was admirable and their development team are exceptionally qualified. On the day that the website went live there were zero interruptions and the site went from being the old design one minute, to the new design the next. We have already noticed an increase in sales through the online store, and several customers taking advantage of the new features. I highly recommend StraightSell for any form of website development and will continue to use them as we make upgrades on our site in the future."